What Is The Amazon Hub? What the Amazon product managers desperately want is to change their product development definition and get more control over how products make their way from the Amazon warehouse to people’s homes. In a typical apartment setting, all too often a package is left at a front desk or outside of an apartment and there is a great deal of risk that it may never find its way to the person who ordered it. The Amazon product managers are now trying to find a way to solve this problem They are in the process of entering into agreements with some of the largest apartment landlords to take over their package rooms. If they can do this successfully, then they’ll have something else to add to their product manager resume. What the Amazon product managers plan on doing is installing Amazon locker systems in apartment buildings. This locker program is being called “hub” by Amazon. These installations will occur in thousands of buildings and with a little luck Amazon is hoping to have them in place before the peak holiday shipping period arrives. Landlords who manage over 850,000 apartments have already signed up for the new Amazon program. 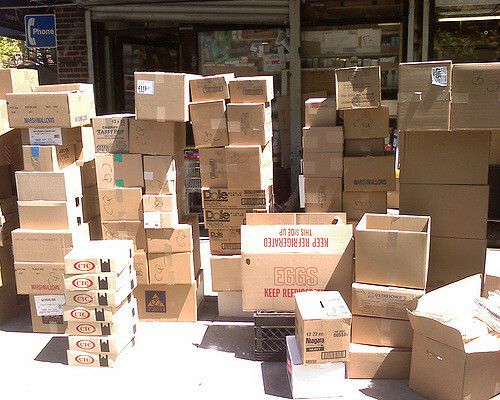 It turns out that packages pose a big problem for people who manage apartments. Every day a mountain of packages can arrive at an apartment building and this requires staff to devote several hours each day trying to sort out all of the packages that they have received. Storing all of those packages is another issue that currently does not seem to have a good solution. As the packages arrive, they are placed here, there, and everywhere. Apartment landlords say that dealing with arriving packages is the single largest problem that they are currently facing. Will This Solve Amazon’s Package Delivery Problem? So how is all of this going to work? The Amazon system will accept packages from all senders – not just packages that come from Amazon. The Amazon Hub system will be available to residents of the apartment complex only – not other people who might live in the community. If you are a resident of a building with an Amazon Hub system, then you’re phone will get a notification when you have received a package. That notification will come with a secret code that you can then use to open one of the slots on the Hub system. The apartment owners will pay between US$10,000 – US$20,000 to purchase the Hub system with no additional per month fees. At least initially, apartment owners are not planning on charging their residents to use the Amazon Hub system. The thinking is that the apartment owners will make back their investment in savings on staff labor. Packages and how to deal with them is a very big deal for apartment owners. In the past four years, the volume of packages that arrive at an apartment buildings has increased between 20% – 30%. The average apartment community receives 1,000 packages per month. This is an increase from 650 packages just a year ago. The Amazon product managers realize that the most expensive part of delivering a package is the so-called “last mile” where the package actually makes it to the customer’s door. The key to creating a successful delivery service lies in density. When an Amazon delivery driver has to stop more places to drop off a package, costs go up and the chances of a package being stolen increases. Delivering a load of packages to an Amazon Hub installation will be a major cost savings. When you realize that apartment managers say that their staff spends 3 hours each day dealing with packages, then the time savings provided by installing lockers starts to look very attractive. I can only speak for myself when I say that after I have placed an order with Amazon, I stand around waiting with baited breath for that ubiquitous Amazon box to show up. However, it turns out that if you are an apartment owner, you are not nearly as excited about having packages show up at your building. Lots and lots of packages show up each day and your staff spends a great deal of time sorting them and trying to find some place to put them. A better solution is needed. The product managers at Amazon have taken a look at their product manager job description and they think that they’ve come up with a solution that will solve the apartment owner’s problems: the Amazon Hub. The Hub is an Amazon locker system that apartment owners will install in their package rooms. Apartments receive many packages each day. Apartment landlords say that dealing with arriving packages is the single largest problem that they are currently facing. The Amazon system will accept packages from all senders. Apartment residents will be electronically notified when they receive a package and they can use a secret code to open the package slot in the Hub that contains their package. Apartment owners don’t plan on charging their residents for this new service. The key to the success of the Amazon Hub system is that it allows a single Amazon package delivery driver to drop off multiple packages at a single location thus saving both time and money. Apartment owners are currently facing an ever mounting crisis. Their residents are ordering more and more packages that, when they arrive, are choking the apartment building’s office and staff. Amazon’s Hub system seems to offer a way out of this problem. Only time will tell if once the Hub system has been installed if the problem of too many packages has finally been solved. Question For You: What should the Amazon product managers do if an apartment resident does not own a mobile phone?